We have been providing the Erosion Control Industry with dependable products for over 15 years. Carolina Precision Fibers has the following hydraulic mulches available for the hydroseeding professional. Carolina Precision Fibers has developed a line of three associated products that our customers need under certain local conditions. 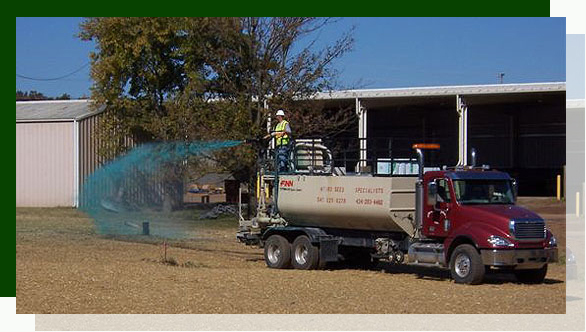 These products, along with our Premium Hydroseeding line of hydro-mulches, guarantee a professional result. Carolina Fibers provides detailed product specifications and material safety data sheets on all our products. If you have any questions regarding any of the products we use please contact us.